Let’s admit it. Our lives are hectic. There’s barely enough time in the day to get the recommended 8 hours of sleep, much less to examine our everyday routines for improvement. 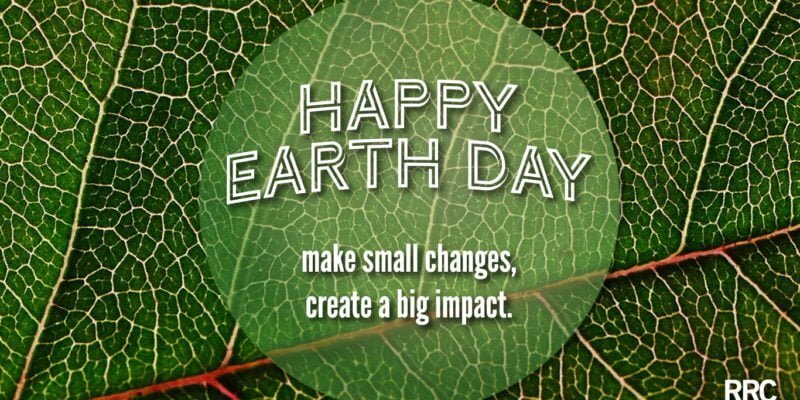 Luckily, Earth Day is the perfect opportunity to reflect and create crucial changes. Established in 1970, Earth Day is an international event dedicated to protecting the environment. Here at RRC, we believe making small changes can make a large impact. Join us in recognizing our carbon footprints and finding quick, simple ways to improve. Make a commitment to change 5 areas in your daily routine that can reduce your carbon footprint today. Eventually, they’ll become part of your newly improved, eco-conscious routine. 1. Unplug: Your electronics and charging cords use energy even when not in use. Unplug them! 2. Use the elements: Try a clothes line instead of the machine to dry your wash.
3. Go paperless: Switch to electronic bills, newspaper, and/or magazine subscriptions. 4. Organic: Use local, organic produce to reduce shipping waste. 5. Consciously use less: Take a shorter shower. Buy less new items. Give up meat for one day a week. Buy only what you need. Beyond the above 5, there are many ways to reduce your carbon footprint. Something as simple as changing a lightbulb can make a difference. 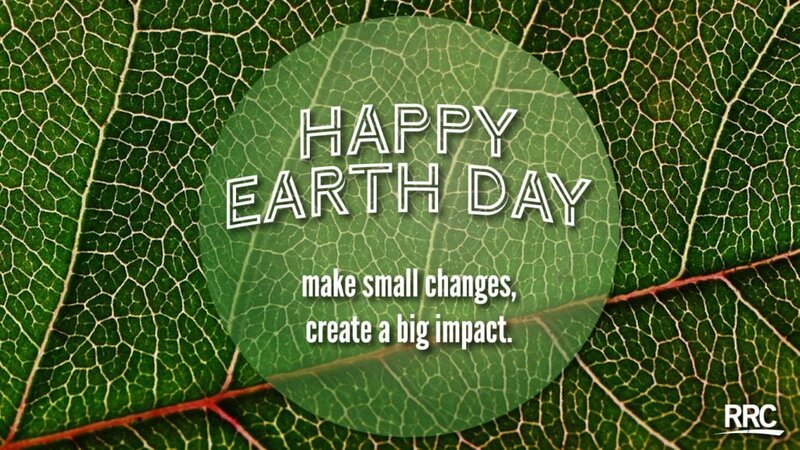 Try something new this Earth Day!